At DBM IOANNOU, quality is the fundamental core of our business. We are totally committed to understanding and meeting the quality needs and expectations of our customers. 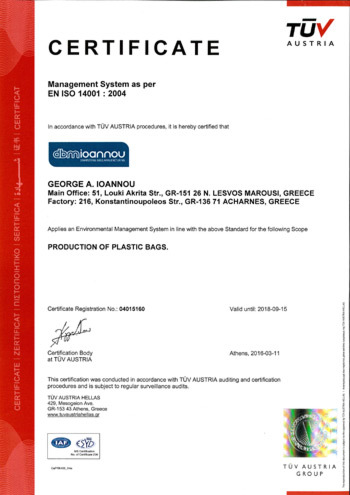 DBM IOANNOU has operated since 2002 following most procedures of 9001, and recently has been certified to ISO 9001 Quality Management System and ISO 14001:2004 Environmental Management System certification. In addition to the above, we follow most procedures of the ISO 22000:2005. These accreditations prove our commitment to Total Quality Management.